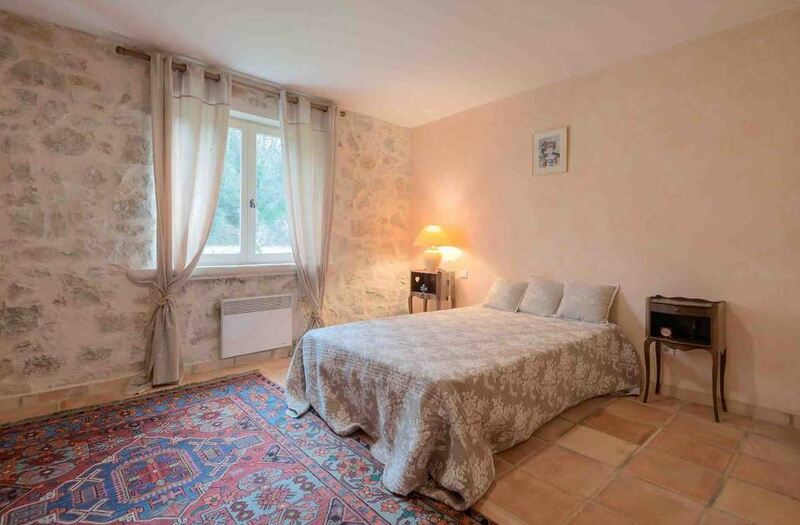 Situated in the peaceful region of Grasse, this beautiful bastide is nestled within a park of 3 hectares of uninterrupted land. Offering 5 delightfully decorated bedrooms, an inviting reception room and a fully equipped large kitchen, this property will make all who stay feel comfortable and welcome. The Provençal style of the house is coupled with equally classic feel of the adornments throughout the property. The living areas throughout are spacious with exposed wooden beams, authentic fireplaces and sumptuous furnishings; perfect for relaxing and reclining after a day exploring the French Riviera. The dining room has a sense of grand opulence with its sophisticated chandelier and decadent wooden table. The large windows enable guests to take in the spectacular surrounding views whilst enjoying indulgent meals prepared from the fully equipped kitchen. Along with a gorgeous swimming pool to enjoy, the home is looked after by the on-site caretaker to make sure everything is kept as pristine as possible for your stay.